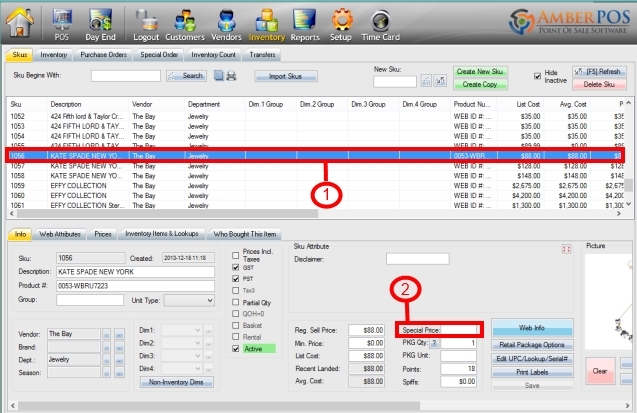 Setting Up Customer Store Membership and Customer Discounts – Pacific Amber Technologies Inc. This article is intended to help you create a system where customers with a store membership receive discounts on your products. Step 2: Select the Attribute sub tab. Step 3: Select Customer as the attribute type. Step 4: Enter a desired name for the attribute, and then select Date as the format. 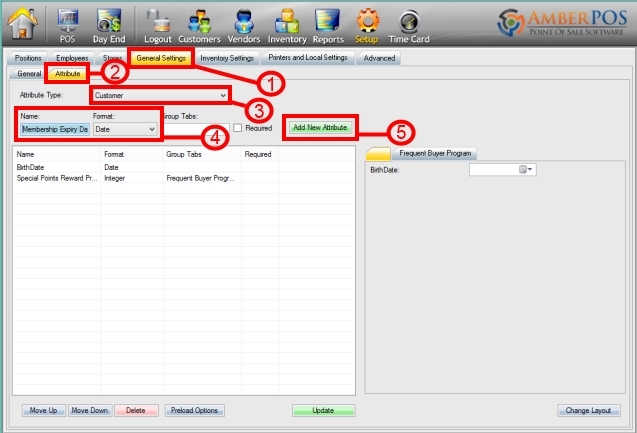 Step 5: Select the green Add New Attribute option to apply the attribute creation. Step 3: Your customer Type Setup will be located here. 4. You must also create a new customer type with any name such as "Store Member". This customer type will be applied to the customers that purchase or sign up for membership and get a discount. You will be applying both the membership expiry date created above, and the new customer type for the membership discount rule. Step 1: Type in your new customer type name. The example given is "store member". Step 2: Select the green Save option. Step 3: Once it has been saved, the new customer type will appear in the list below. 5. The next step is to setup your special price rule. Step 1: Select any SKU. 6. Select the green Create Advanced Rule option. 7. In the window that appears, select Other (No Templates). 8. Now you can create the discount rule. Step 1: The queries are required. The first query must designate which SKUs the discount will apply to (the example is that the SKU is not equal to zero which would apply to all your SKUs. E.g. Sku != 0) The second query is the new Customer Type you created. Make this value equal to whatever the name of the customer type is intended for store membership. (E.g Customer Type = Store Member) The final query is that the Membership Expiry Date must be less than zero. Step 2: Select Done to complete the discount rule. 10. Next, select Save to complete the store membership discount. Step 1: Select your customer. Step 2: Select the same Customer Type you created and used in your query builder. 12. Finally, select Save to complete your customer changes. Your customer should now have the membership discount(s) that you created earlier in the process. Step 1: Enter a desired name for the rule. For the example given it is simply "Store Member Discount". Step 2: Select the method of discount that you want to use for your discount rule. You can either apply a percentage discount, or a flat price. The percentage is recommended if you are applying a discount to every item in the store (this method will be the example used in this article).. Step 3: Select the Build Query option to add the queries necessary for a membership discount program. Step 1: The queries are required. The first query must designate which SKUs the discount will apply to (the example is that the SKU is not equal to zero which would apply to all your SKUs. E.g. Sku != 0) The second query is the new Customer Type you created. Make this value equal to whatever the name of the customer type is intended for store membership. (E.g Customer Type = Store Member) The final query is that the Membership Expiry Date must be equal to a date in the future. This date will set the possible membership time limit. For example, if you set it to January 1, 2015, then all customers are able to buy membership until that date. You could also set it to something very far into the future.